Want to experience small group with some people you already know at work or in your neighborhood? Start your own WHY group. Just grab a couple friends, neighbors or co-workers, find a place to meet and you are all set. It’s that easy! We are so excited that you’d like to start and host a WHY Group! People like you truly make a difference in the lives of so many others because you open your home to family members, friends and new acquaintances. The environment that you create will help people connect to others and grow in their relationship with Jesus. Ready to dive in? Fill out our WHY Groups form to get started and we’ll be in touch. Do I need to be a Bible expert to host a group? Absolutely NOT! As long as you have accepted Jesus as your Savior and you are willing to host and facilitate group discussions, you can lead a group. Most of our groups utilize DVD bible studies so the teaching is done by an expert and the group questions are already prepared for you. We have lots of resources and we are always available to answer your questions. When do WHY small groups meet? As the host, you can pick the day and time that works best for you and the others in your group. For family groups, evenings might be best while Mom groups might like to meet on a weekday morning. Use your discretion and just pick a day! How long does a WHY Group meeting last? From start to finish, the average WHY Group meeting lasts from 1.5 to 2 hours. This leaves enough time for fellowship, bible study with discussion, and prayer time. As the group host, you will likely need to spend a bit of time preparing for the group meeting as well as praying for the members of your group. When starting a group, we suggest that you have a minimum of 2 other people to invite. Think about who is already in your circle like friends, family, co-workers and neighbors. People are much more likely to come to the WHY group if they are personally invited by someone that they already have some sort of relationship with. Please keep in mind that for the sake of good conversation, we recommend that your group size doesn’t exceed 10 to 12 people. 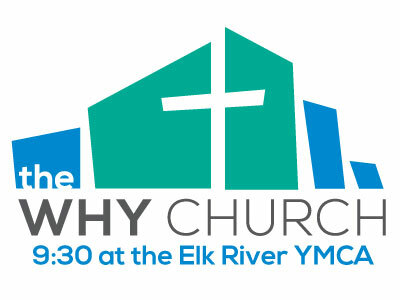 Do I have to be a member of the WHY Church to join a group? No…there aren’t any requirements other than being a human being. How often does a WHY Group meet? Again this is totally up to you. That said, most WHY groups meet twice a month on a regular basis. How long does a typical WHY Group stay together? Our WHY groups are ongoing and generally, we ask people that they try to commit being in their group for at least a year. Our WHY groups don’t simply do a particular study and then disband. Some of our groups have meeting for years while others are just getting started. What happens at a WHY Group meeting? While each WHY group is different, there are some common denominators that we encourage in every group. Most start with fellowship time so that people can just hang out, converse and catch up with what’s been going on the past couple weeks. A DVD or other bible study with group discussion is essential. And finally, groups should share prayer requests and pray for one another prior to being dismissed. 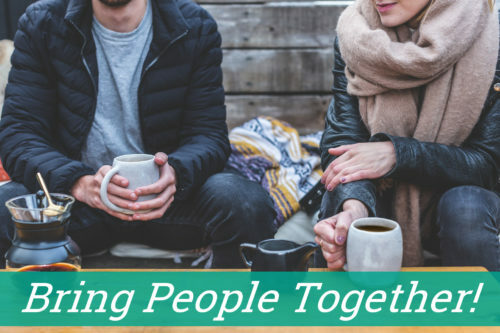 In addition, many of our groups serve the community and attend social events together (outside regular meeting times) as their relationships deepen. How does a WHY Group find it’s next study? We’ll give you resources for study ideas and online training videos that will point you in the right direction when it comes to leading a group. Depending on your comfort level, we’ll suggest your first study curriculum and then you can choose your next topic of interest. We’ll be happy to give you suggestions. Be sure to check out our Small Group Resource page for training videos, studies and other info. The WHY group team has reviewed and recommended numerous quality studies. You should discuss this issue with the members of your group to come up with a viable solution. Some groups take turns watching the children, some of the family groups have kids bible study when the adults are having their study time, some chip in together to hire a baby sitter for the entire group, and other groups require each member to make their own arrangements. It just depends on what the entire group prefers. What happens if I am out of town and can’t host a session. What should I do? Life is busy so it is certainly understandable that hosts occasionally must miss meetings. We recommend that you find another person/couple in your group that is willing to fill in when you are gone. The other option is to move meetings to a day and time when you are available. The second option can sometimes be difficult to pull off depending on how many people you have in your group. Error: Error validating access token: Session has expired on Saturday, 02-Mar-19 17:19:36 PST. The current time is Friday, 19-Apr-19 15:15:48 PDT.